When a friend or family member buy a new home it's always nice to present them with a goody basket and card. Here is a tag you can make to add to the bundle. Apply Broken China Distress Paint to the top of the tag, and Mowed Lawn to the bottom. Mist water on top to let it marble and move around. Dry with a Heat Tool. Lay Cargo Stencil on top. 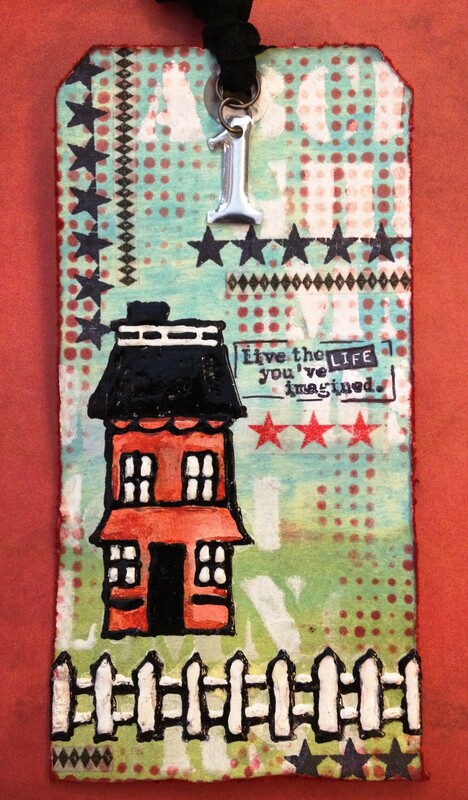 Apply Picket Fence Distress Paint to an Ink Blending Tool, and stencil numbers and letters on. Dry this. Clean foam from the tool and let dry. Apply about a dime sized amount of White Enamel Accents to the craft sheet. 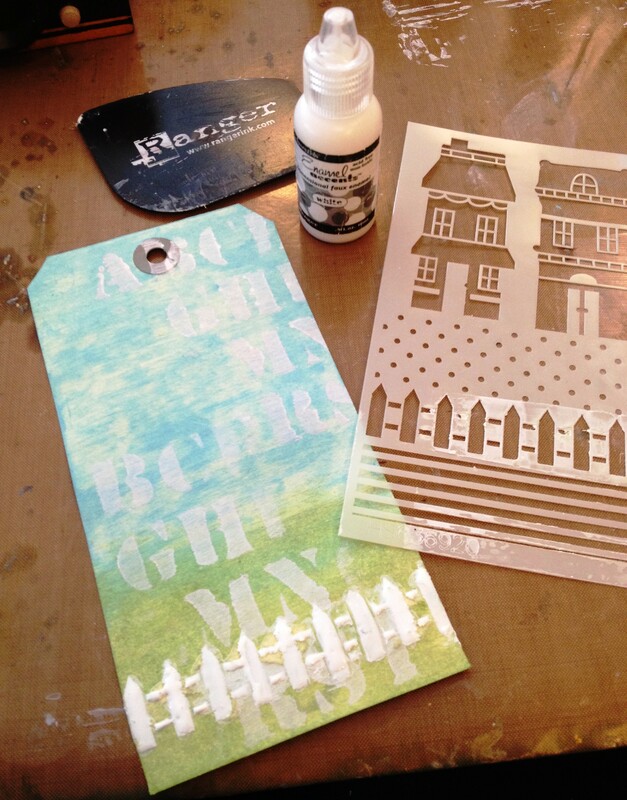 Lay the stencil over the tag, and have the picket fence portion towards the bottom. Pick up the Enamel Accents with the scrapper and gently swipe this over the picket fence portion. Lift up the stencil and then clean it with water. Let the Enamel Accents dry naturally. 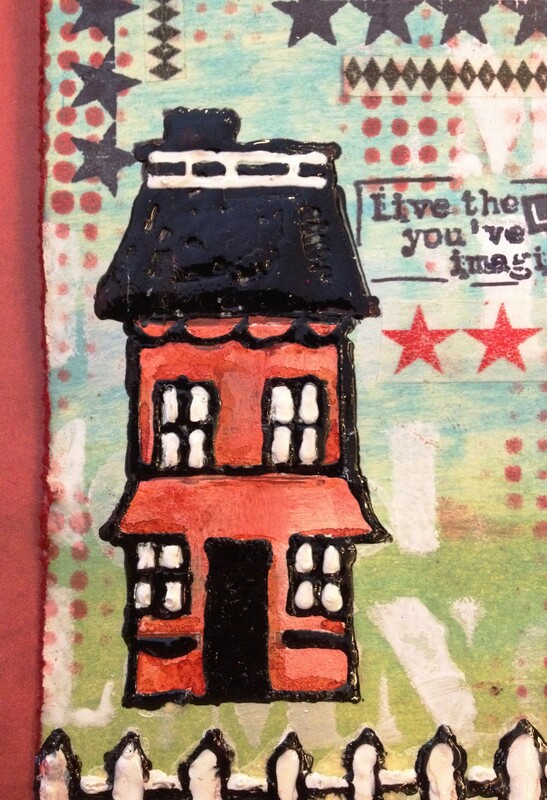 Lay the stencil on top of the tag again with the house portion above the fence. 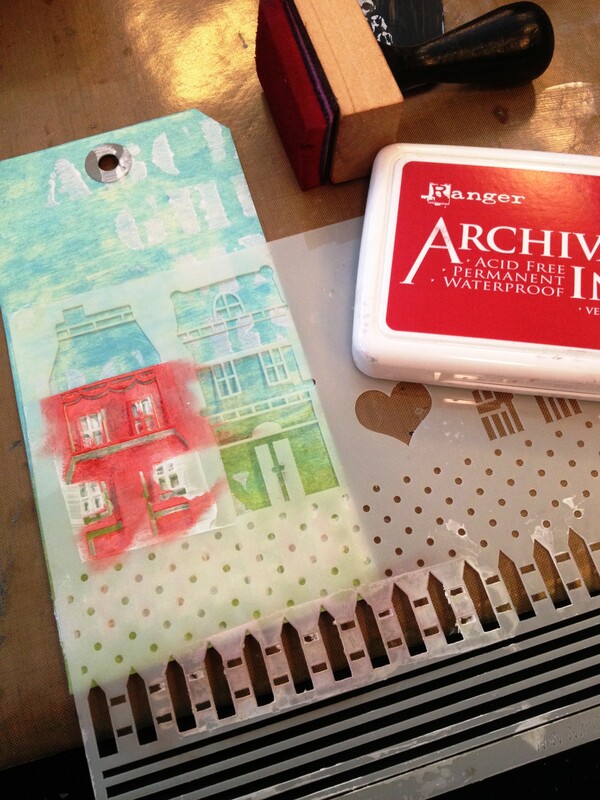 Stencil in the house with an Ink Blending Tool and Vermilion Archival Ink. 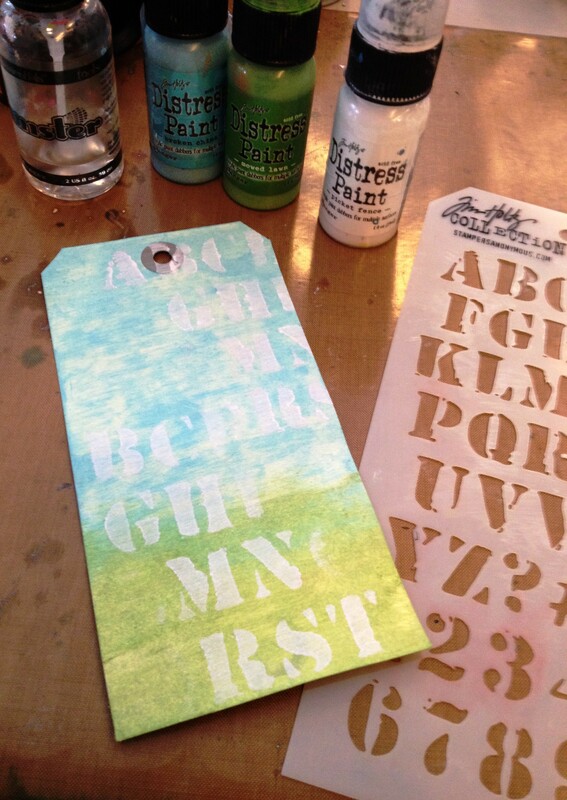 Use the ink and tool to stencil in a few dots here and there with the Dot Fade Stencil. Fill in the roof and trace around the house and fence with Black Enamel Accents. Fill in the windows with White. Let this dry naturally. Stamp the sentiment in Jet Black Archival, and the stars as well. Trace around the sentiment with a black pen. Use Tissue Tape to adorn the tag here and there as well. Ink the Crinkle Ribbon with Jet Black Archival and dry it. Tie the ribbon to the tag's hole, and affix the jumpring and numeral to it. Finally, ink the edges of the tag with Vermilion.